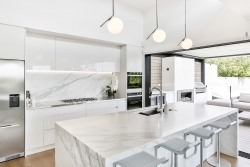 If ever there was an example of a true entertainer’s kitchen, this is surely it ­– an outdoor kitchen on one side, a huge walk-in butler’s pantry on the other, and a large family kitchen at its centre. 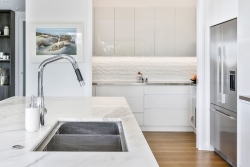 Working with her client from the very early conception stages of this project, kitchen designer Kim Primrose from Mastercraft Kitchens Pukekohe says this was one of the biggest jobs she’s worked on. 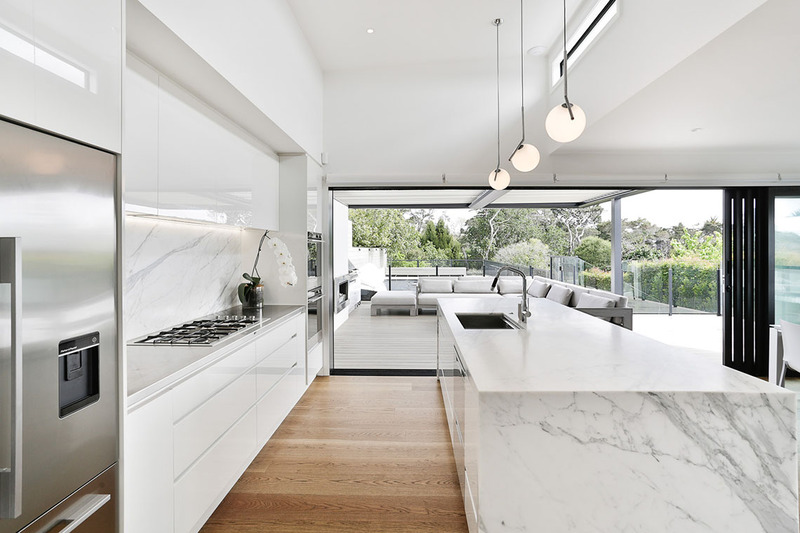 It involved the complete re-orientation of the home’s layout, allowing for the kitchen area to address a newly created outdoor living space, along with designing and installing new wardrobes, bathroom vanities and lounge entertainment units. 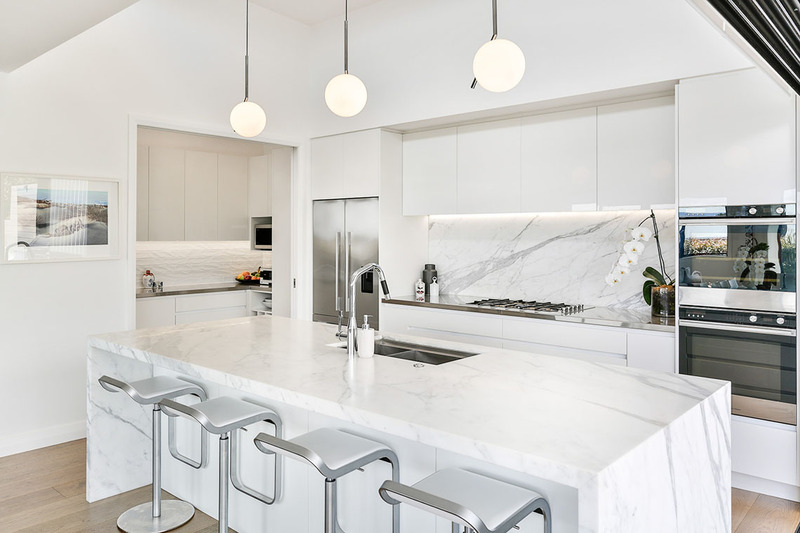 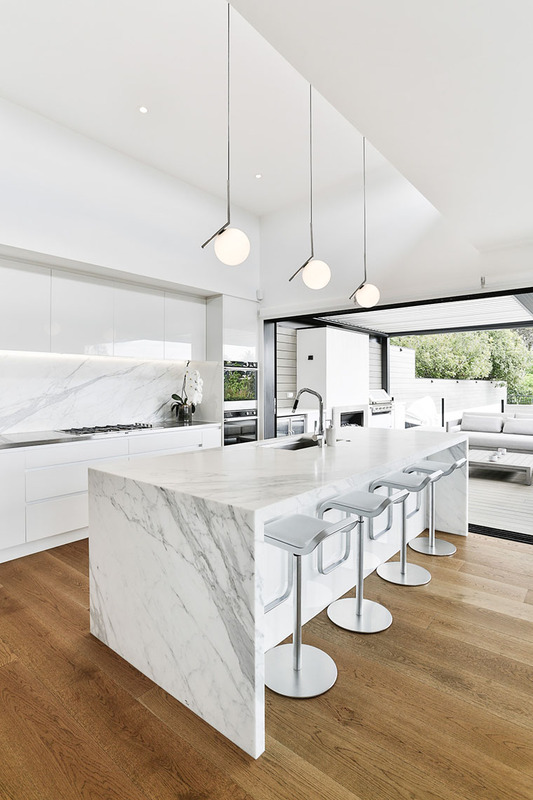 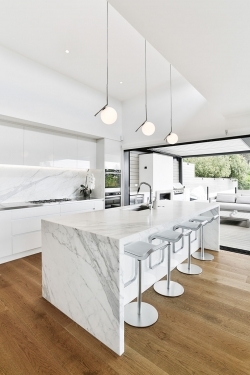 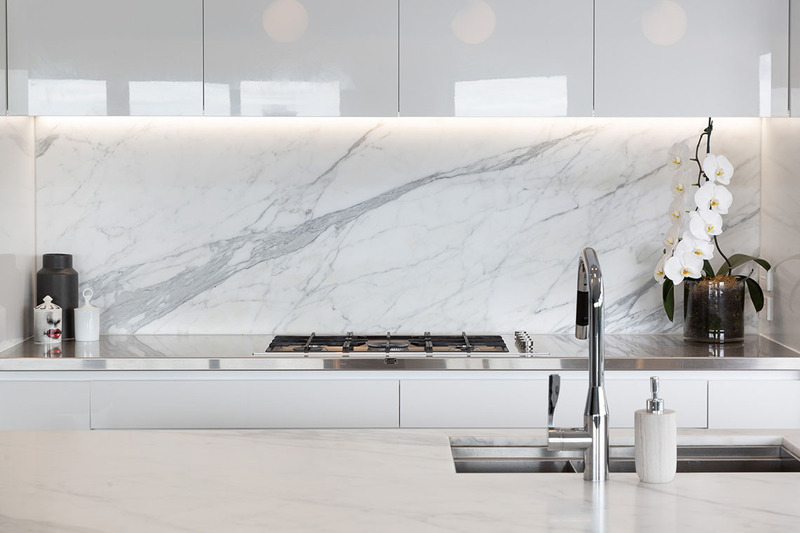 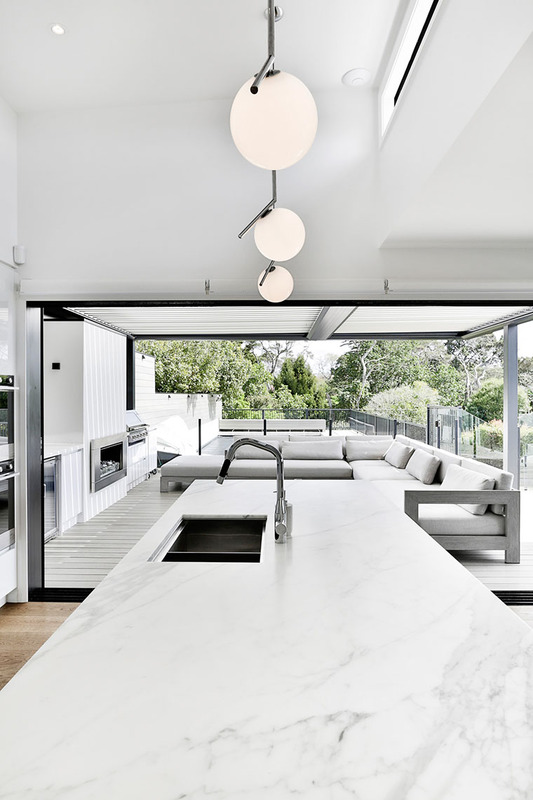 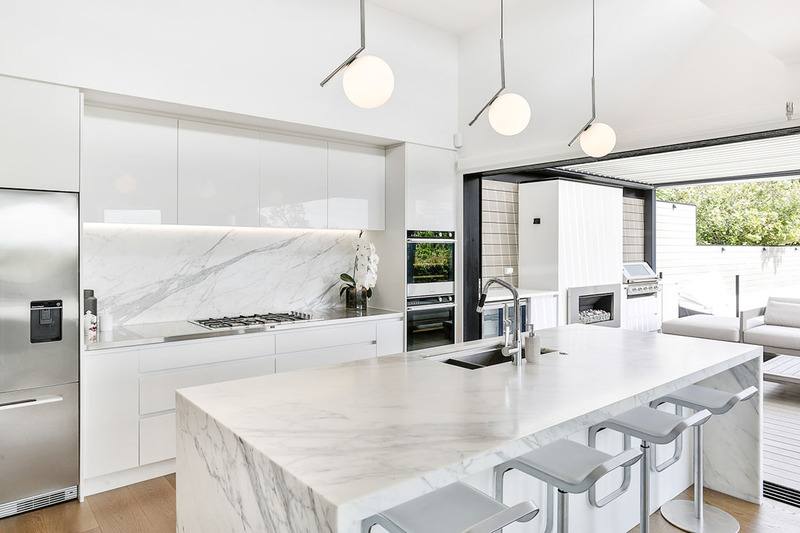 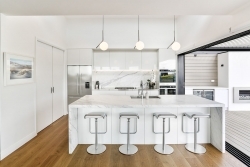 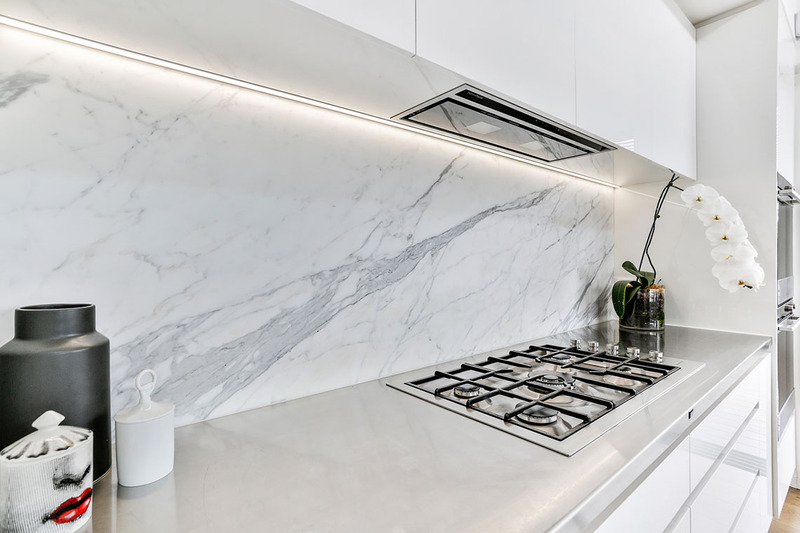 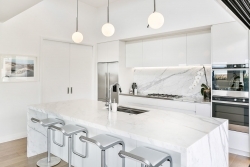 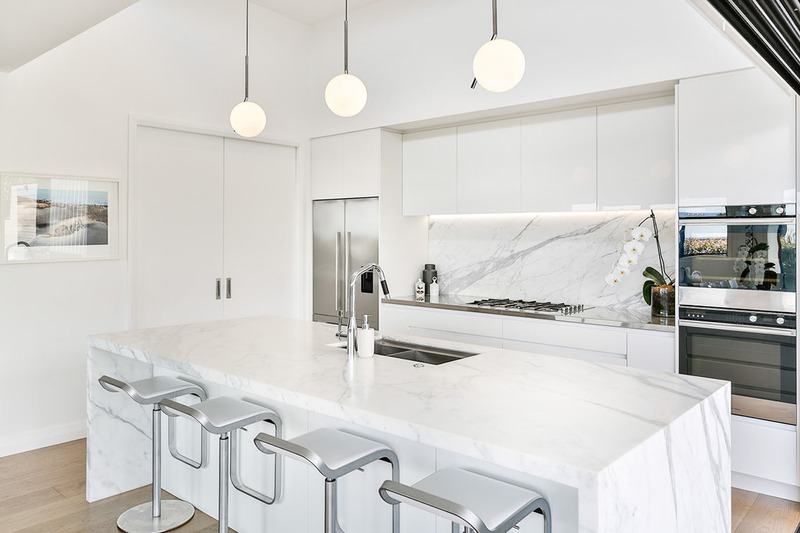 The new kitchen had to be practical, but her client wanted it look glamorous, too, so asked for the kitchen island to be clad in marble – not the most practical of materials with five teenagers running around, smiles Kim. Kim’s client loved the natural look of the marble and, after many discussions on the pros and cons of marble versus engineered stone plus visiting many stone companies to look at different slabs and finishes, the marble was chosen. An extra sealant was applied to give it the protection it would no doubt need to stand the test of time. 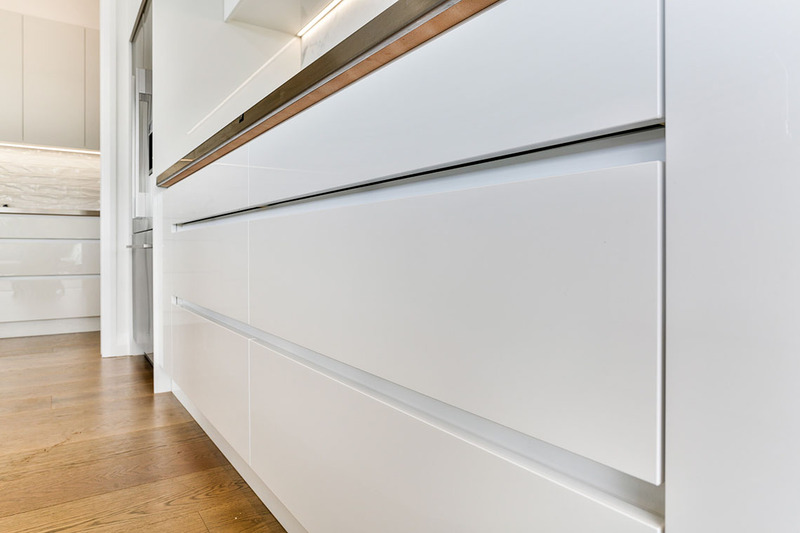 Kim’s client also asked for an area where everyday things could be hidden away, out of sight, when needed – hence the butler’s pantry. 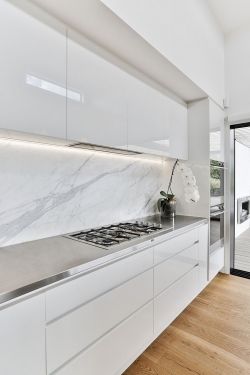 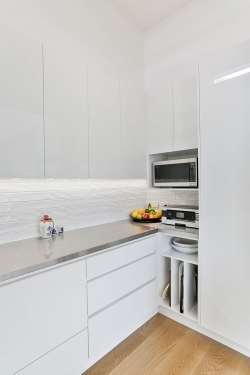 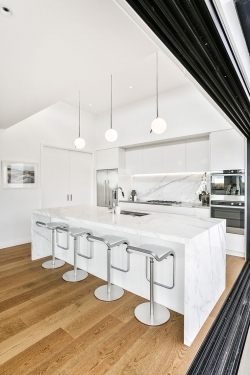 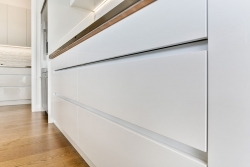 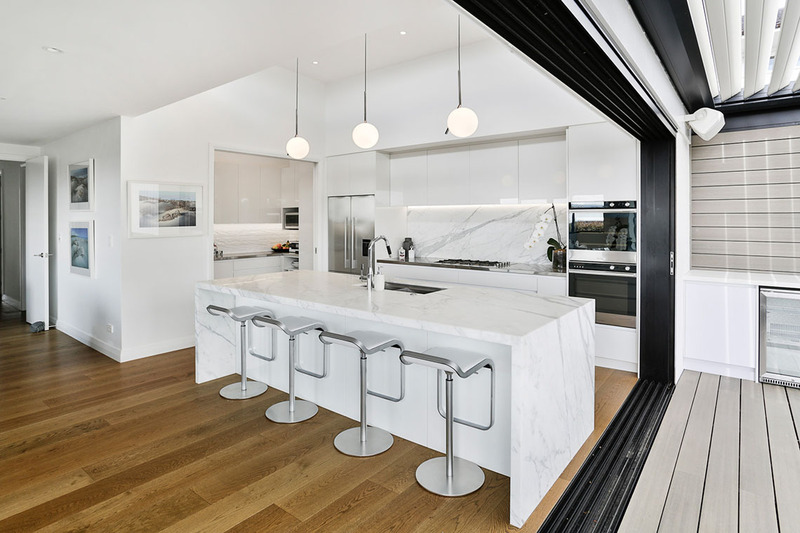 In order to make this space feel like it was part of the rest of the kitchen, and also to give it easy access for several people at once, the designer specified a pair of pocket-sliding doors that disappear into the walls when not needed. 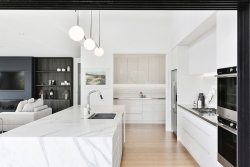 The family sized fridge was deliberately placed close by for easy access to both the kitchen and the butler’s pantry, with extra room available in the cool drawer in the pantry if needed. 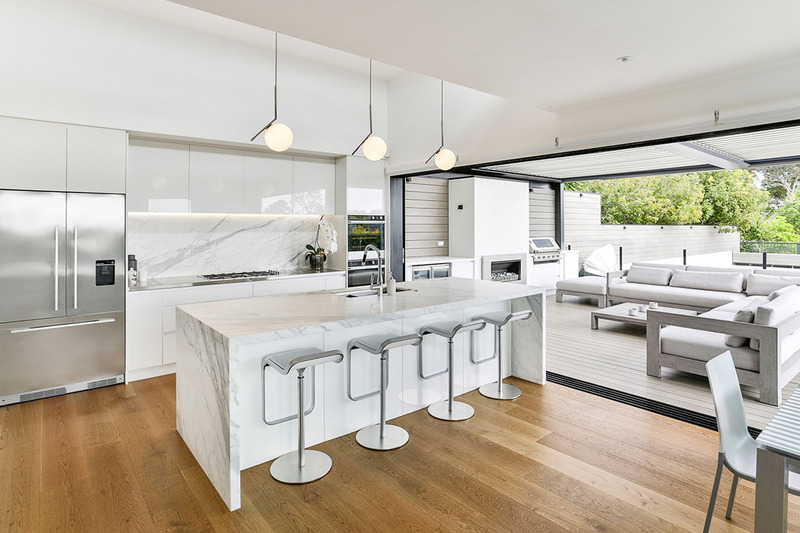 Outside, on the newly built deck, wall space was allocated for a fully equipped outdoor kitchen that included a large, built-in BBQ, two fridges, and a workbench. 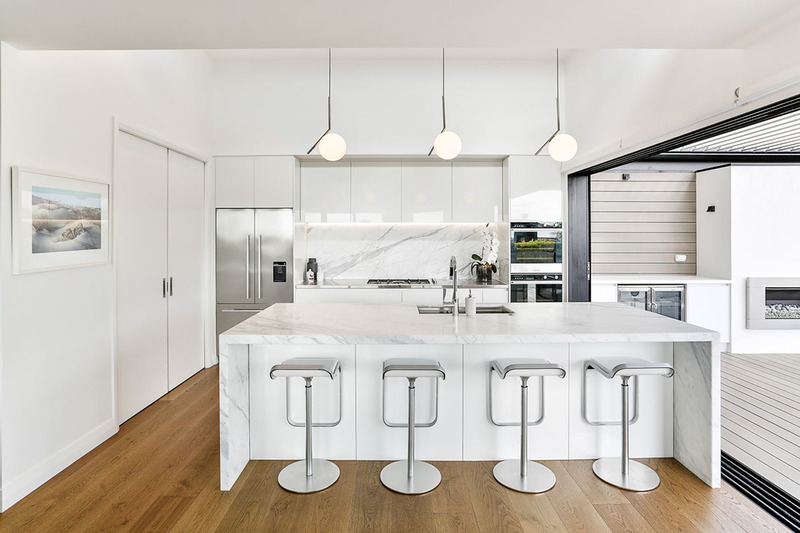 All-weather materials were also used – Dekton for the benchtops, and marine-grade plywood finished in impervious melamine sheeting for the cabinetry. 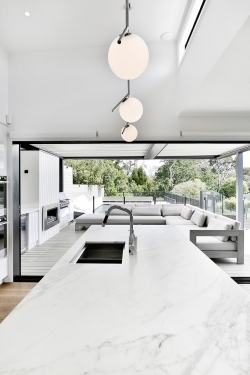 An adjustable louvred roof makes the space usable almost 365 days a year. 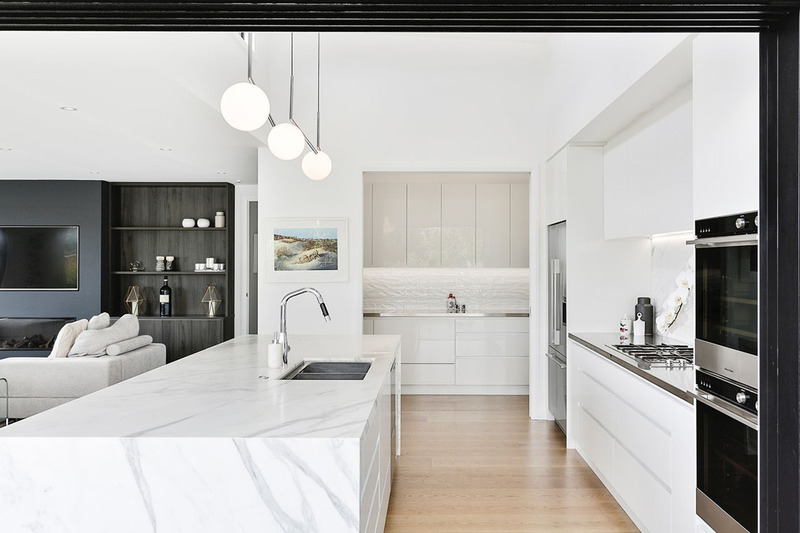 Back in the main kitchen, the designer has installed a 90cm gas hob, coupled with two waist-height ovens on the back wall, and a pair of double dishwashers concealed at the back of the island. 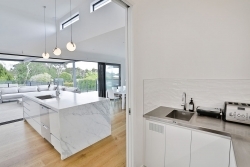 In the butler’s pantry there’s a cool drawer, microwave, and hot-and-cold tap. 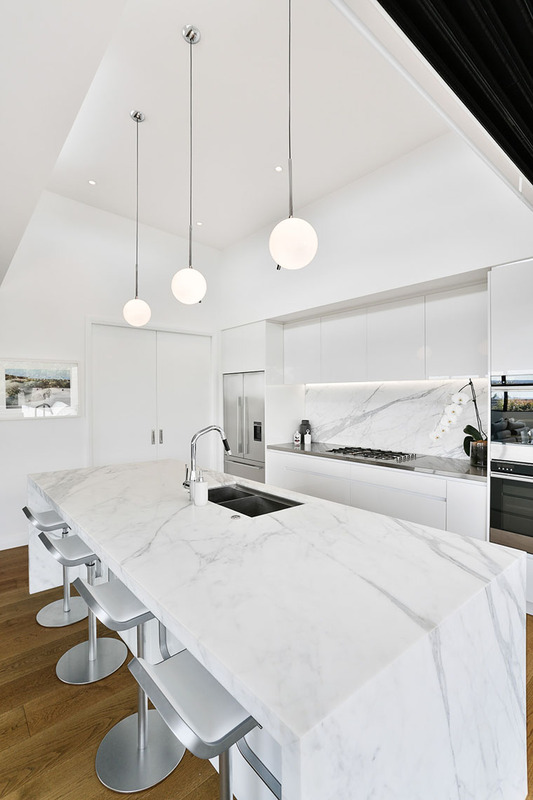 Standing back and looking at this kitchen in its entirety, it’s hard to think of anything that’s been left out. 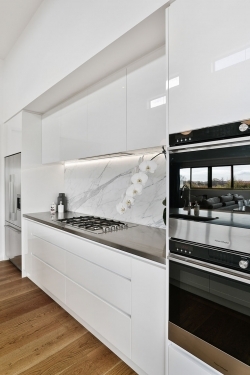 It really does represent ultimate entertainer’s kitchen – perfect for catering for a large family, or large groups, whatever the occasion or the weather. 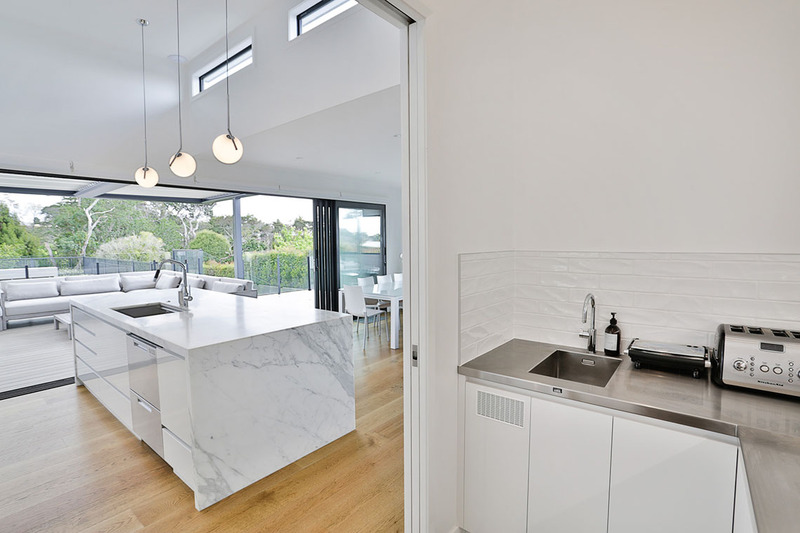 This kitchen was proudly designed, manufactured and installed locally by Mastercraft Kitchens Pukekohe.